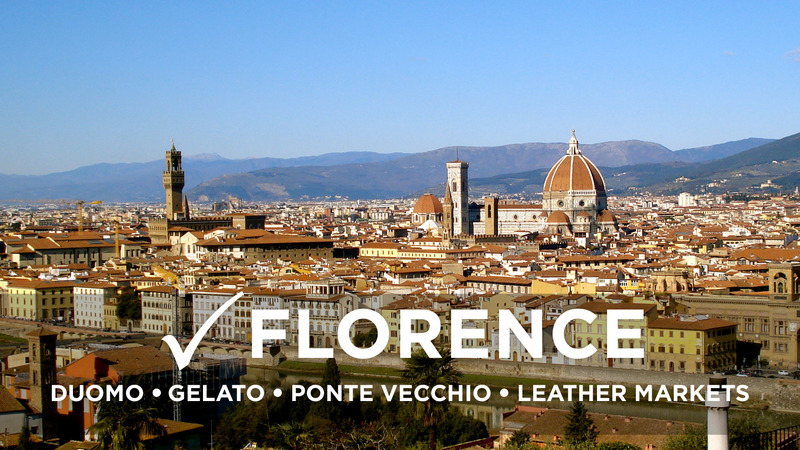 Experience the BEST of Italy on this 10-day whirlwind adventure across 5 destinations: Get lost in the canals of Venice, hike trails along the Cinque Terre, snap selfies in front of Pisa’s Leaning Tower and take in world-famous sights and flavors (pizza, pasta & gelato galore) of Florence, and wander the halls of the awe-inspiring Vatican Museums in Rome. Ready for an your week break in Italy? Explore unforgettable cities in Italy and get the full experience in 10 amazing days. For tours that start in Venice you can arrive anytime on Day 1. For tours that start in Rome we highly recommend a Thursday night stay or early Friday morning arrival so you can start the tour with the group at 10am. If you arrive late you may miss the group tour of the Vatican or the Colosseum which you will have the chance to make up on your own on Sunday. You can depart any time on day 10 and even consider flying out Monday or from a nearby airport. Show up in Venice on Thursday for an optional early arrival. 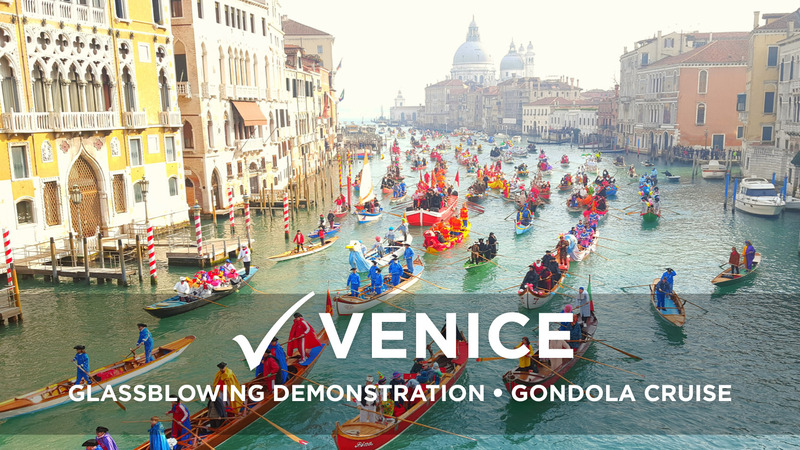 The Rome-Venice itinerary will run in reverse- please double check which city your trips starts in and departs from on the Rezgo Booking Page. Opt into an extra day and evening in the Serene City. You'll have the day to yourself to explore and get acquainted. Friday sees us checking into the hostel and meeting up in the afternoon for orientational walking tours through the tight alleyways and canals of Venice. Look forward to glassblowing demonstrations, delicious food and entry into the San Marco Cathedral, one of the richest churches of its time. Day 4 - Free Day for Hiking! Day 5 - Onto Pisa and Florence! Day 7 - Roma, Roma, Roma! The tour ends after breakfast and students are welcome to depart at any time that suits them and their travel arrangements. Your WSA guide will make recommendations for those who have extra time in town. WSA recommends the Galleria Borghese for amazing Baroque art or the Porta Portese flea market. Please Note: Some tours start in Venice and end in Rome while others begin in Rome and finish in Venice. Please refer to the details in your specific date to know which airports to fly into and out of. In the case of a Rome-Venice itinerary, the itinerary listed above is flipped and run in the reverse order. Time your visit to Rome with the Easter celebrations with Papa Francesco. For seven years now, WSA has taken groups of students to Easter Mass with Pope Francis, and designed an itinerary that allows you to see all you possible can over these busy days in Italy. Every Easter package includes a ticket to Mass with Pope Francis on Easter morning! Two departures: March 23-April 1 (Ven-5t-Flo-Rome) and March 29-April 8 (Rome-Flor-5t-Venice- this trip has an extra Thursday night in Rome), both overlapping in Rome. Additional inclusions are Easter Mass at the Vatican on Sunday, and 2 extra group lunches. 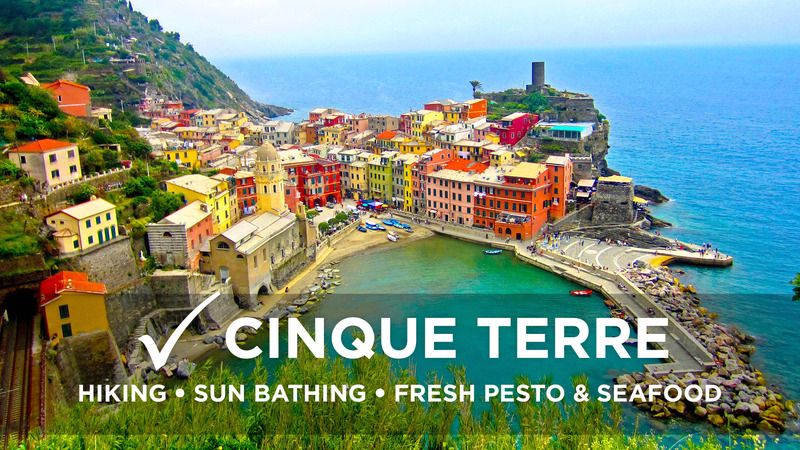 Our DIY package lets you explore the best that Italy has to offer all at your own pace! 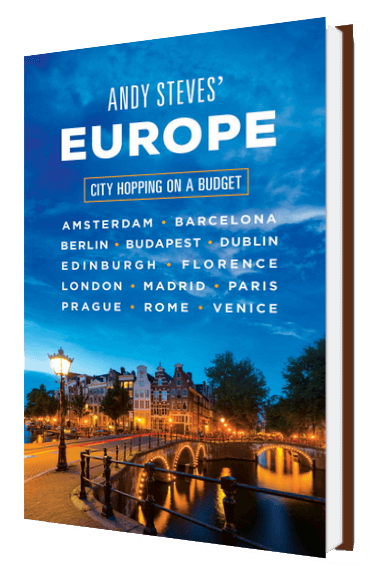 Experience the highlights of Rome, Florence, Cinque Terre and Venice and skip the line into all the top sights! Our WSA Detours give you all the insider info to help you connect the dots on your own. All you've got to do is pick up our recommended connections between each city. Read on for more info. 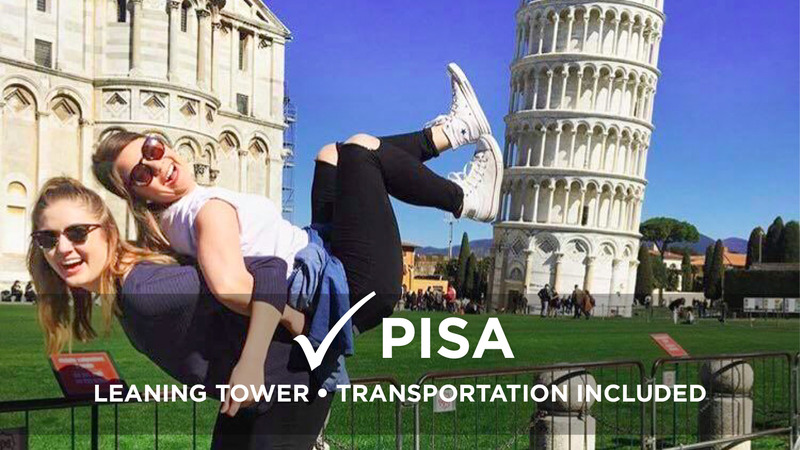 Days 5 & 6 - Stop at the Leaning Tower of Pisa for a selfie, and continue on to the Renaissance city of Florence. 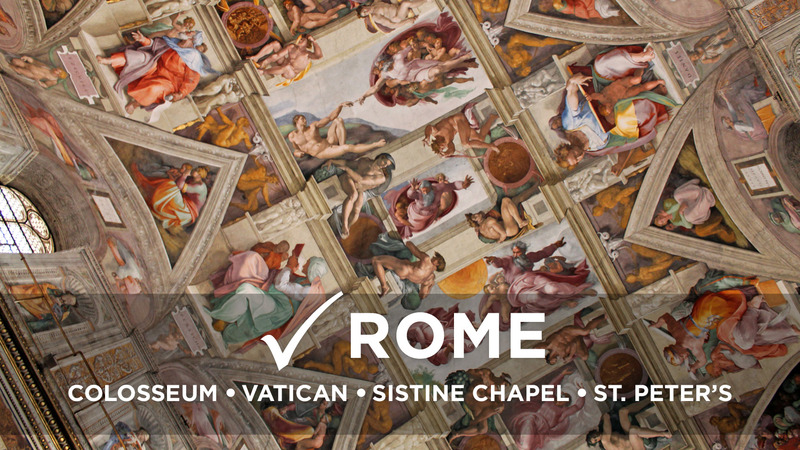 Days 7, 8 & 9 - Head to Rome where you'll skip the line into the Colosseum, Forum, Vatican Museums & Sistine Chapel all included! Day 10 - Our adventure is sadly over. We'll provide directions for connecting to the airport. Days 1, 2 & 3 - Arrive in Rome and skip the line into the Colosseum, Forum, Vatican Museums & Sistine Chapel! Day 10 - Trip over :( We'll provide directions to the airport. Book flights into your starting city on day 1 and out of your finishing city on day 10. You can opt to extend your stay or arrive early. For early arrivals, remember that you'll then arrive on "day 0" and fly out on day 10.